MAMEM made available its software architecture for implementing real-time brain-computer interfaces operated through eyes and mind. 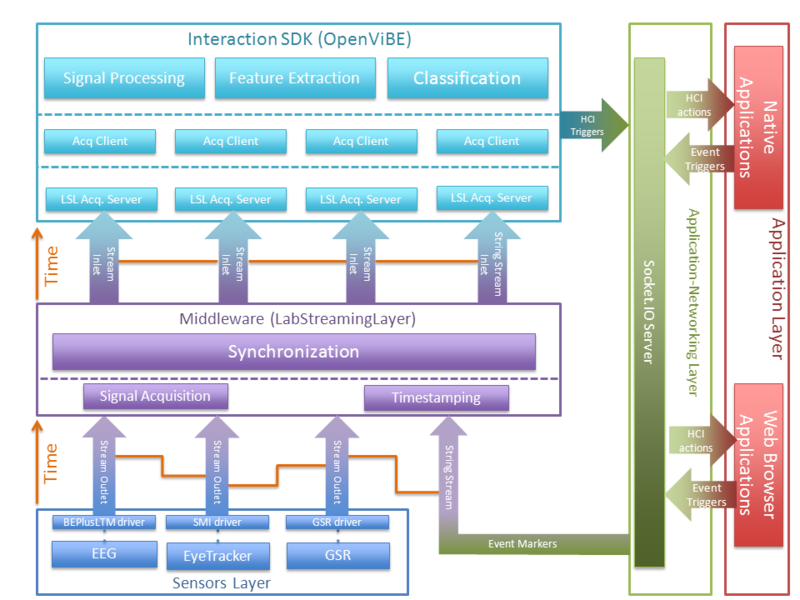 The proposed architecture is divided in five layers, namely: a) the Sensors Layer, b) the Middleware, c) the Interaction SDK, d) the Applications-Netwokring Layer and e) the Applications Layer. Our intention to make the best possible use of the existing knowledge and developments in brain computer interfaces has led us to the decision of adopting LabStreamingLayer and OpenViBE to serve as the core elements of our Middleware and Interaction SDK, respectively. Check out the overview of our architecture here.